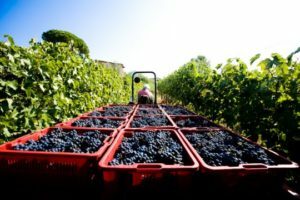 Since 1993 not one last Sunday of May has passed in Umbria without the annual event called Open Cellars: a rich and intense two day appointment to discover Umbria, its territory, its people and its wines. For years, encouraging contact with fans of wine, the philosophy of Open Cellars has created a new traveling style, on a backdrop of soft and gentle Umbrian hills, which makes it a must for tourists and travelers of all kinds. An Umbria that is set in motion in every sense! Then, all you have to do is saddle up on your two-wheeler and follow km after km the path that Baruffaldi has created for you. Regardless of your starting point the road exit you have to keep an eye once you are on the E45 is Ponte San Giovanni, easy to locate in the middle of many exits, and continue in the direction of Torgiano on the provincial road SP401. A green and well-groomed countryside—under a mid-morning light—that makes its vineyards the flagship of Umbrian food and wine production, will welcome you. So why not take advantage of it? Your first stop will be the Terre di Margaritelli winery, with its 60 acres of land–all certified organic–leaning on the hill of Miralduolo, crucible for centuries of the best wine of the area–no accident DOC since 1968 and DOCG from 1990–will welcome you with its varieties: Trebbiano, Grechetto, Sangiovese and Canaiolo. An hour will pass in a flash. Continuing towards the hamlet of Torgiano, home of the Wine Museum, turn right at the first traffic light to take the provincial road SP403 and stop once you have arrived at the famous Cantine Lungarotti, which since the 1960s–thanks to its production of the varieties Rubesco, Torre di Giano and Falò—between taste and history will offer you a free ride at the aforementioned Wine Museum. You can leave your motorbike for a while, because a nice small train that will take you to the center of Torgiano connects the Museum to the Cellar. 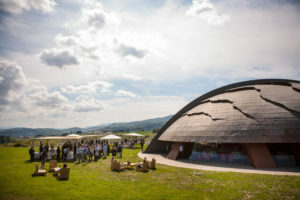 The Museum, which was born from an idea by Giorgio Lungarotti and is cared for by his wife, Maria Grazia Marchetti, will make you journey through the centuries by showing you how this important drink has taken on symbolic roles and meanings in the various civilizations that have passed until today. 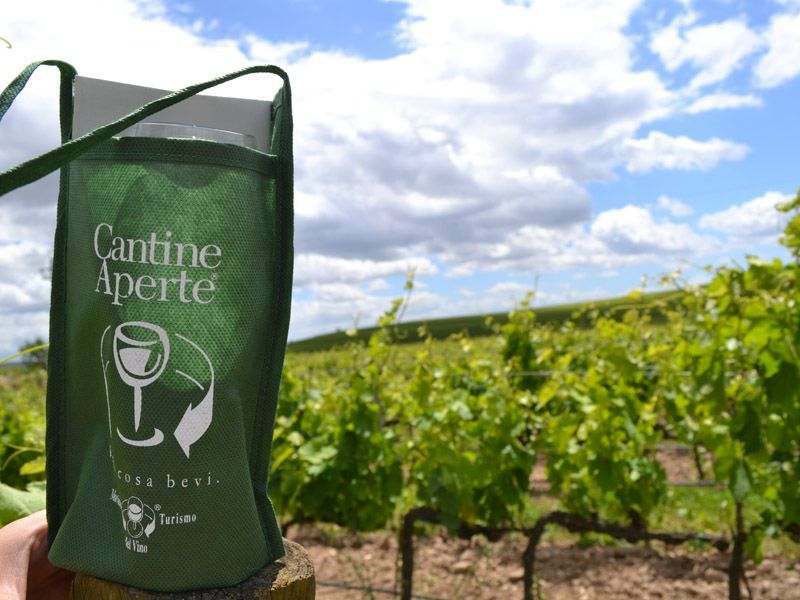 Once returned to the Cellar you can enjoy a great lunch prepared with typical Umbrian products and served by the gourmet restaurants hosted by the Cellar. Once properly refreshed, you will be ready to go to a new oasis of taste. Taking again the provincial road SP403 with the wind in your hair crossing beautiful locations like the perched village of Bettona, you can admire, at a distance to the left, the dome of the Basilica of Santa Maria degli Angeli. 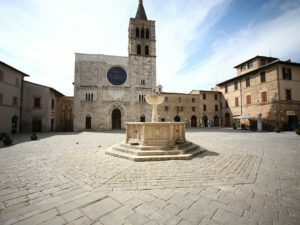 It contains the famous Porziuncola, the little church built by St. Francis, and up on the hill on its background, on the slopes of Monte Subasio, you will see Assisi, the city of the Patron Saint of Italy. Once arrived at the gas station Cacciamani turn right in Via della Formella. What you will see below your eyes will be immense stretches of vines that, between the towns of Bevagna and Montefalco, make the Umbrian hills a color palette beautiful to see and a set of flavors to taste while directing the eye to architecture—part of the Tenuta Castelbuono estate—of which the “Carapace” of Master Arnaldo Pomodoro is a brilliant example. Six years of work for a unique piece of art, between the boundaries of sculpture and architecture in which one lives and works and that since June 2012 has been open to the public for visits and tastings. 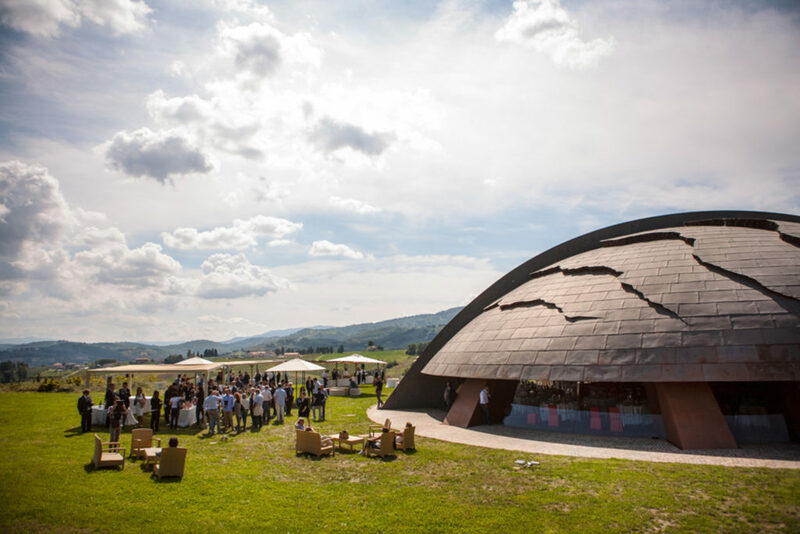 A place where wine, sculpture, nature and art, all under the protective wing of a large dome covered with copper, transform the visitor’s tasting experience in an unparalleled introspective journey between land and sky. Speaking of art, we cannot avoid referring to the splendid medieval town of Bevagna, which with its walls and its streets will be the next stop of our two-wheeled trip. Coming from Via della Formella you will find Bevagna in front of you, and you will remain fascinated by it. Having gained the title–like many other Umbrian cities–of “the most beautiful village of Italy”, Bevagna owns its name for the “bevagne”, fabrics that have been produced since ancient times. Yes because it’s impossible to talk about Bevagna without mentioning the time gone by. Since the Iron Age, this town has gone through alternate events that led, in medieval times, to being one of the many contended cities between various lords and the Pontifical State. However, it has to be emphasized that these fights haven’t undermined at all its beauty set in the Umbrian hills. Remaining in the Bevagna area, it is worth going to the famous Cantina Adanti, reachable by following the regional road SR316, crossing the lush hills covered with vineyards in the surroundings of Montefalco, and taking the junction to the left once arrived on the provincial road SP443, in via Arquata, starting point to reach the winery. 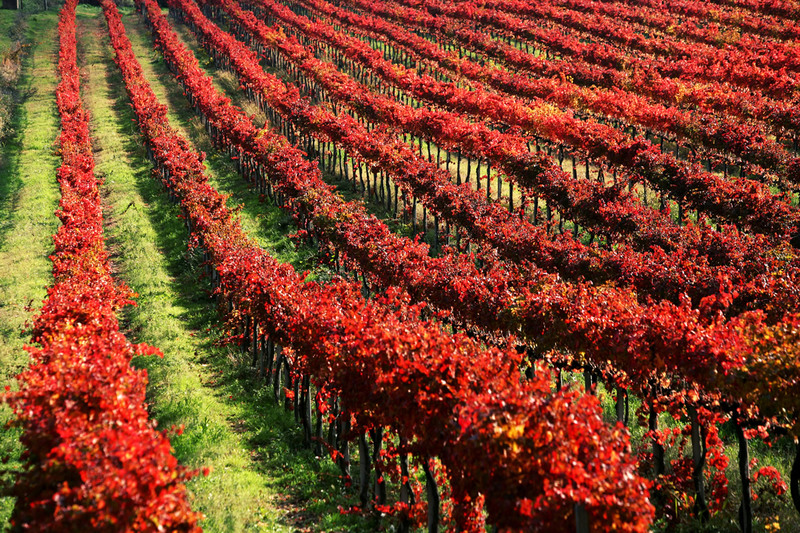 A vineyard, that of the Adanti, which among all the Umbrian vineyards represents the right balance between history and modernity. Situated in the beautiful hilly areas, between Arquata and Colcimino, famous since ancient times for their fertile soil, the winery produces Sagrantino and Red Montefalco, in the old convent of the Celestines, which was built on ruins of the Roman period and later of the late Renaissance. Leaving the farm Adanti behind, turn right on Via Teverone, which has the peculiarity of coasting and enclosing all local wineries up to Località Torre (which will be on your right). Arnaldo Caprai estate here, leaders for thirty years of production of the famous Sagrantino di Montefalco, will welcome you for your final wine tasting after a well deserved night rest at the end of the visit of Montefalco, which owes its name to the emperor Frederick II of Swabia who once visiting these places, in the 13th century, and noting the large number of hawks in the area, decided to change the name of the place from Coccorone (Cors Coronae) to what we know now. Leave your email to be informed about all Baruffaldi initiatives.